Are you afraid that you may someday become a victim of Identity Theft? This occurs when a thief obtains and uses someone’s personal information to open new accounts and apply for loans in the victims’ name. Fremont Federal Credit Union wants to make sure you’re not putting yourself at risk. One of the most common methods thieves use to obtain personal information is by searching through someone’s trash. What is in your trash? Do you discard old financial statements that contain account numbers or your social security number? If so, you may be putting yourself at risk. 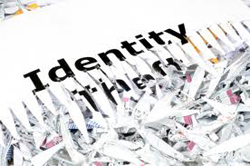 Throwing away documents with personal information may increase your risk for Identity Theft. Because the safest way to discard documents is to shred them, Fremont Federal Credit Union holds Shred for Safety Days 4 times a year. Our spring Shred for Safety Day is held in April at our Woodville office. We will hold two summer Shred Days, one in June at our Port Clinton office and the other in August at our Clyde office and a fall one is scheduled in October at one of our Fremont offices. Watch the website for more details on the specific dates and times.